Everything you need to know about Nate Grey before diving into the newest X-Men event! 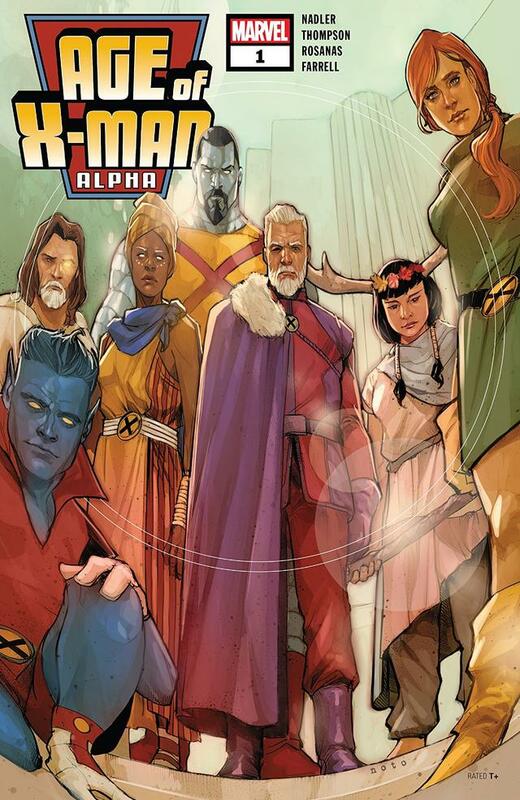 The Age of X-Man is upon us! Following the events of “X-Men Disassembled” in UNCANNY X-MEN, the X-Men as we knew them are no more. This week, writers Zac Thompson and Lonnie Nadler and artist Ramon Rosanas are kicking off the next chapter with AGE OF X-MAN: ALPHA #1, available now. To get everyone ready for this alternate world, Marvel.com is taking a look back at X-Man himself to determine how one of the X-Men’s former allies became a threat to their very existence. It all started in X-MAN #1 back in 1995. In the alternate timeline created by Legion, Nathan Summers, a.k.a. Cable, was never born. Instead, Nate Grey was created from the genetic material of Scott Summers and Jean Grey by Mister Sinister. During the Age of Apocalypse, Nate was given refuge with a traveling caravan led by Forge. Eventually, Nate joined forces with the X-Men in the final battle against Apocalypse and his Horsemen. Nate disappeared while fighting Holocaust and was thought to be dead. Nate’s adventures were seemingly at an end. But instead of fading into oblivion, Nate reappeared in the prime timeline in X-MAN #5. Over time, Nate slowly became acclimated to a world free from Apocalypse’s rule. Although Nate was initially distrustful of the X-Men, he eventually came to regard Cyclops and Jean Grey as his surrogate parents. 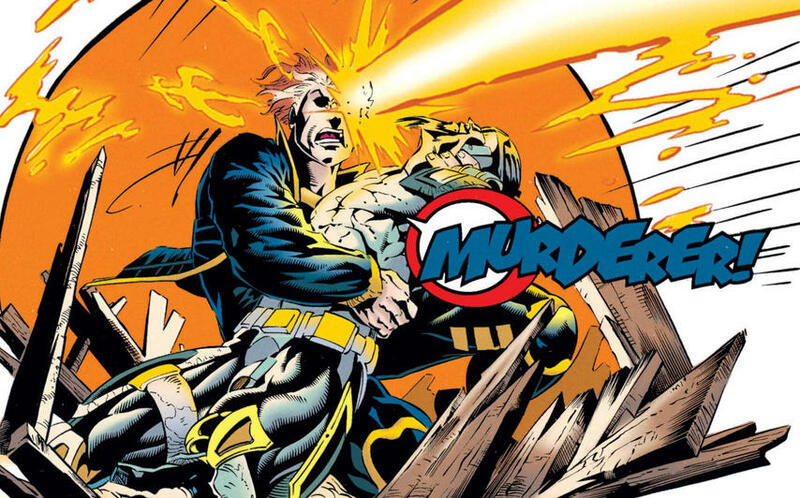 He even felt a kinship towards Cable, his counterpart in this timeline. 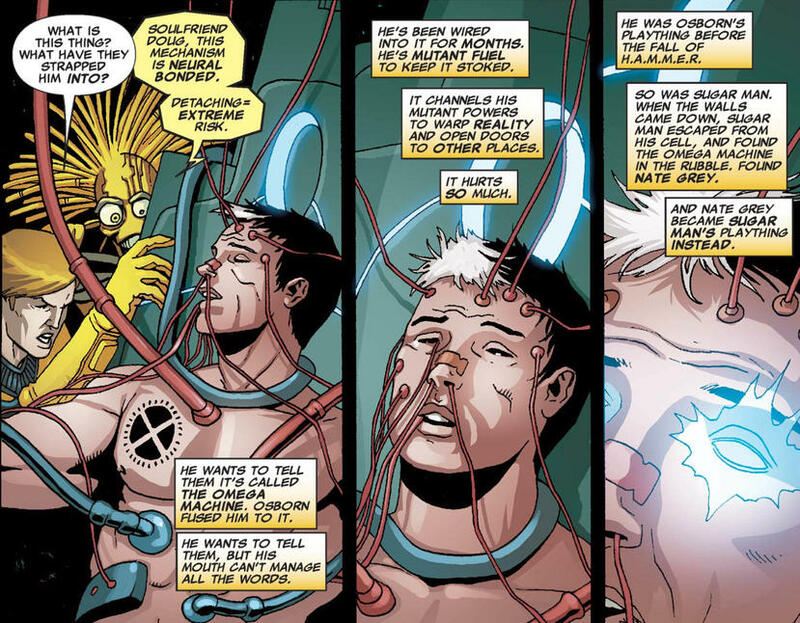 In X-MAN #63, Nate reinvented himself as a mutant shaman, and became immensely more powerful than he ever was before. This was also the time when Nate picked up the distinctive X tattoo on his chest. Nate wanted to change the world, but he ultimately sacrificed himself by dispersing his essence across the entire planet to save it from an alien invasion. Understandably, Nate was thought to be dead after that stunt. However, he resurfaced in DARK X-MEN #1, and he quickly tried to end Norman Osborn’s Dark Reign. Nate’s powers were greatly reduced, but he managed to briefly usurp control of Osborn’s body. Unfortunately for Nate, a ragtag team of malevolent mutants managed to subdue him. Osborn proved to be a vengeful captor, and Nate was subjected to horrific torture that greatly diminished his abilities. After Cyclops established the mutant nation of Utopia, he tasked the New Mutants to find Nate Grey and bring him home. By that time, Nate was a captive of the Sugar Man, a fellow refugee from the Age of Apocalypse. In NEW MUTANTS #25, Sugar Man attempted to use Nate to open a portal back to their timeline. The New Mutants saved Nate’s life, but his powers were once again diminished. Regardless, Nate joined the team and reunited with his “dad.” Nate even formed a romantic connection with Dani Moonstar, which continued beyond the end of the series. In the recently relaunched UNCANNY X-MEN series, Nate returned more powerful than ever before. Thus far, there hasn’t been an explanation for Nate’s exponential increase in ability. However, he was able to effortlessly keep Apocalypse as his prisoner while transforming Magneto, Angel, Blob, and Omega Red into his Horsemen of Salvation. Legion tried to imprison Nate within his mind, but Nate’s strength allowed him to turn the tables and take over Legion’s immensely powerful body. Despite Jean’s attempts to make Nate see reason, he rejected her pleas to turn back from his path. Nate explained that he was dying, and he wanted to save the world before his demise. 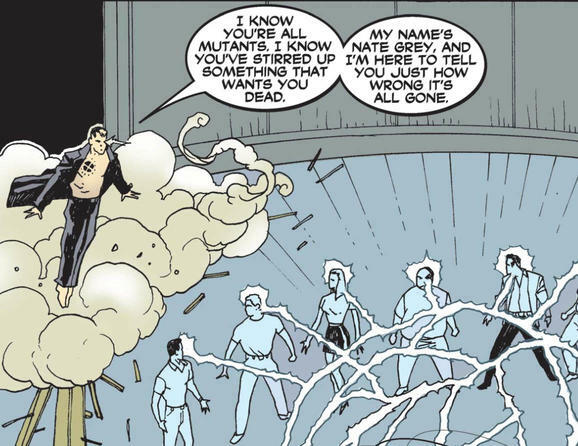 In what may have been his last act, Nate seemingly wished the X-Men out of existence, and the world gave them up for dead. What’s going to happen next? Find out in AGE OF X-MAN: ALPHA #1, which is on sale now online and at your local comic shop!